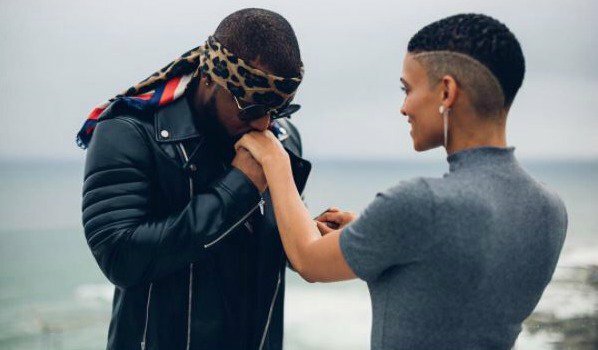 Cassper Nyovest and R&B singer Goapele make sweet music in the video for 'Destiny'. Rapper Cassper Nyovest dropped his 'Destiny' music video a few days ago, and fans are impressed with the futuristic love story. The video, which was shot in Cape Town, features American soul and R&B singer Goapele. South Africans will remember Goapele for her worldwide hit, 'Closer to my Dreams'. She puts her own spin on Malaika's smash hit, 'Destiny', for Cassper's new single, which samples the group's well-known chorus. The video has been watched more than 240,000 times on YouTube since its release on Sunday. Cassper's fans are super impressed with the offering, and have called it his best video to date. 'Destiny' if off the rapper's latest album, 'Thuto'. The Destiny Music video came out today feat the gorgeous @goapele . What are your thoughts? Click on the link in My bio to watch.